"I could not believe what happened was physically possible." A cursory glance is all that's needed to determine without a doubt that this tall, lanky dog named Vega is definitely not a cat. But apparently Vega needed a reminder about that obvious truth — and she certainly got one. 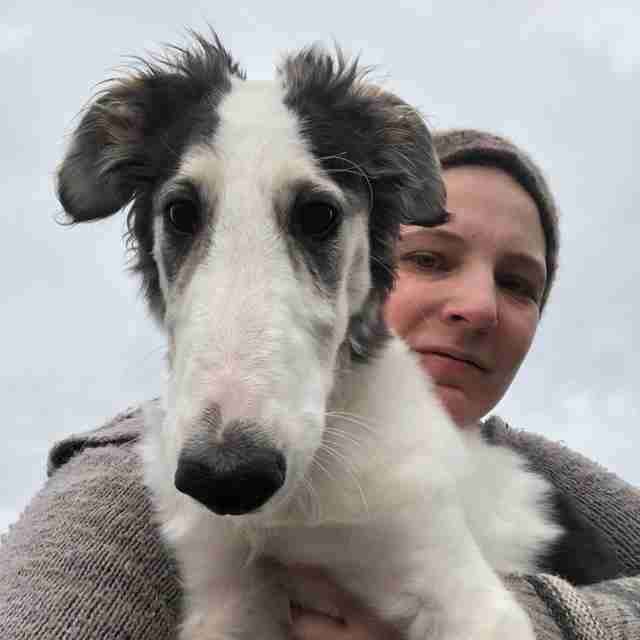 While hanging out at home in Norway this week, the 4-month-old borzoi puppy made a serious error in judgement. Believing herself to be much more petite than she actually is, Vega evidently tried to pass through the little cat door leading outside. How'd that work out for her? Not well, clearly. During her misguided attempt to squeeze through the much-too-small cat door, poor Vega got terribly stuck — and in the most awkward way. Somehow, she had gotten wedged there open-mouthed, her slender jaws agape through the narrow feline passageway, locking her in place. 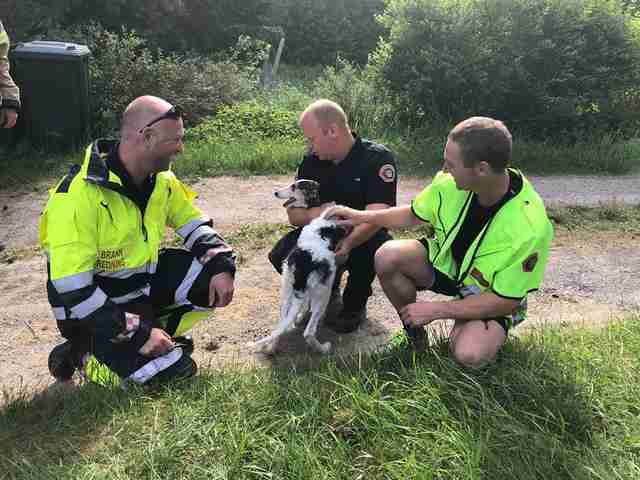 While the door's intended user might have considered the dog's plight to be karmic justice of sorts, Vega's owner, Silje Herup Juvet, was much more sympathetic. 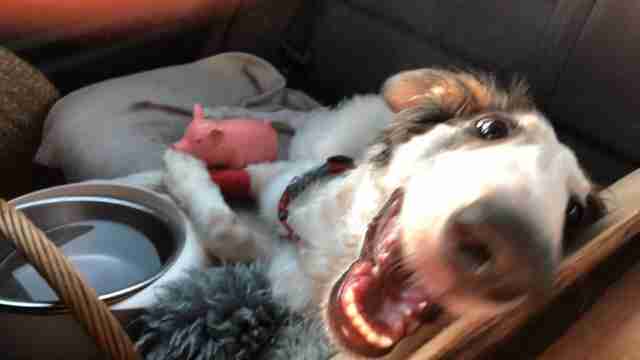 When she realized what the puppy had gotten herself into, she was shocked. "I could not believe what happened was physically possible in the first place," Juvet told The Dodo. "But obviously it was." 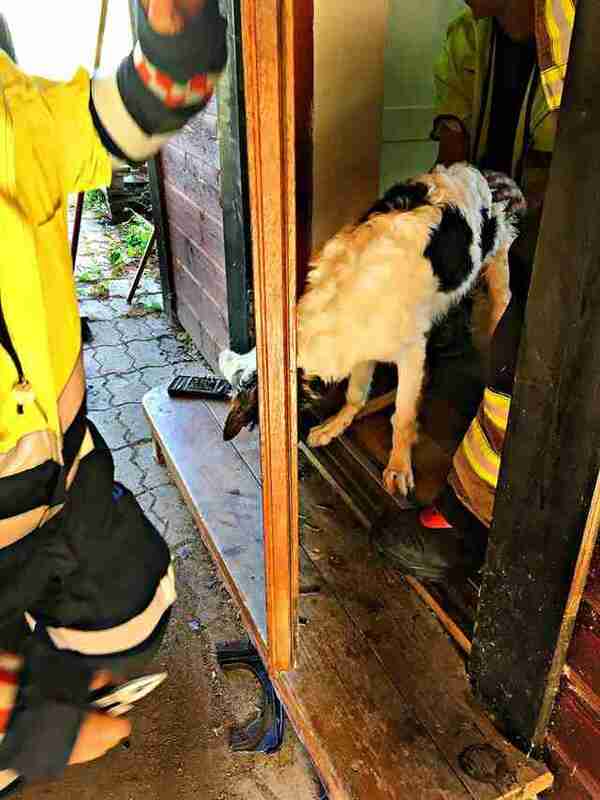 She called for help, and soon rescuers from the local fire department were on the scene. 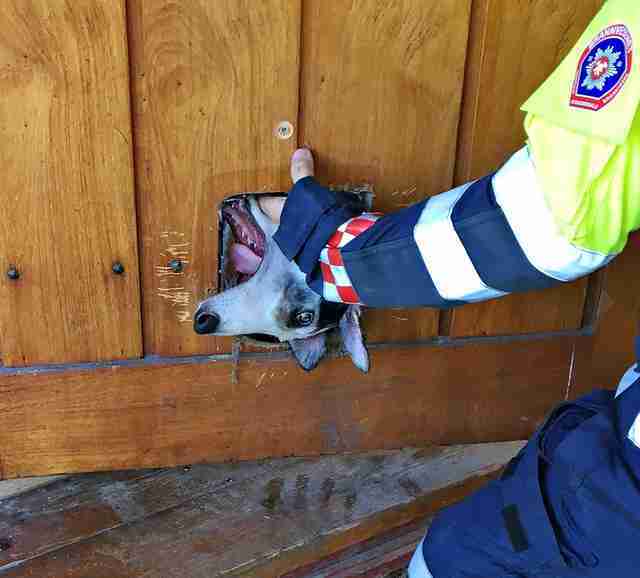 Rather than try to solve Vega's problem like a puzzle, risking injury by reversing the movements that got her into that predicament, the firefighters simply cut the cat door wide enough to free her. The damage to the door was a small price to pay to get Vega unstuck. Fortunately, Vega escaped the incident without getting too hurt. She did lose a couple of her puppy teeth during her struggle to get free, but those were going to fall out soon anyway. Other than that, Vega is back to her happy self. Ideally, though, the puppy won't forget about what happened. Her owner certainly hasn't. "I’m so happy to have her back without serious injuries. I hope she has learned her lesson," Juvet said. "I hope she will soon have grown so big that such an accident will not be physically possible in the future." 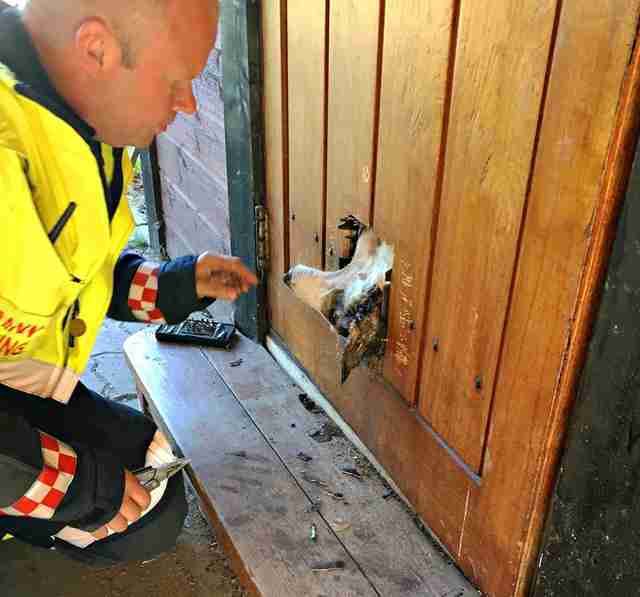 As for Juvet's cat, the rightful owner of the now-damaged door? "She is still not too pleased with a puppy in the house, so ... " Juvet said.